Full Beam Master Queen + Full Beam VIP Queen + 2 Twins, each with private bathroom. Exquisite interior options and captivating design are prominent throughout this 108′ Sunseeker Predator, CASINO ROYALE, available in the Balearic Islands and South of France during the summer of 2017. 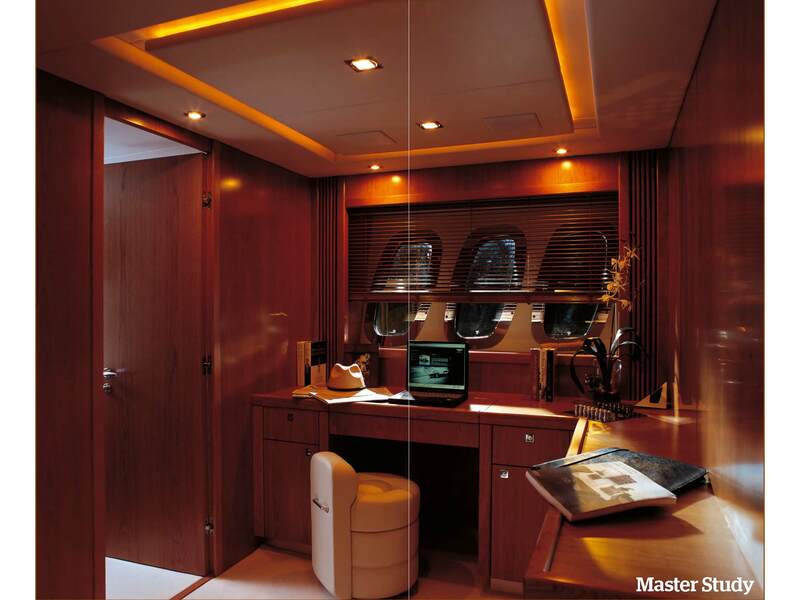 A classic example of Sunseeker design ingenuity, the extravagant sliding roof adds a sense of occasion to every journey – especially those undertaken at top speeds of 42 knots. 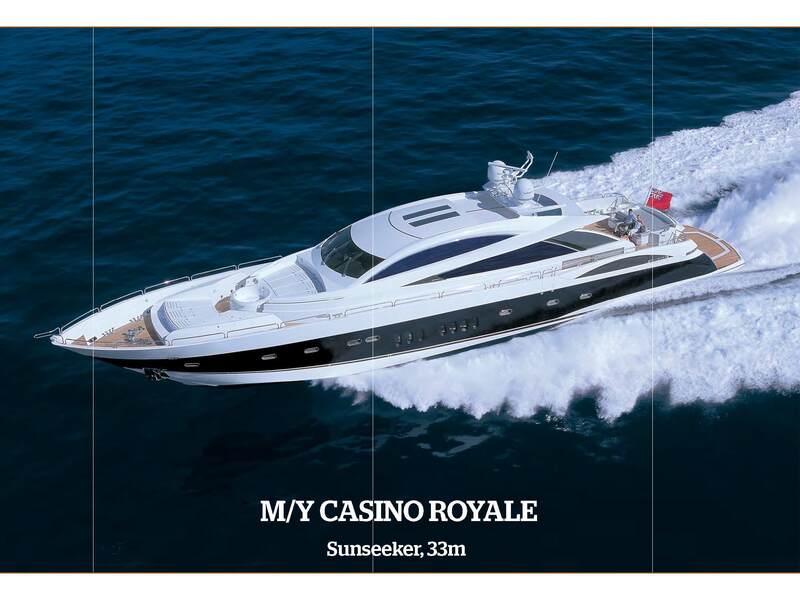 CASINO ROYALE has everything to delight guests, from her modern vibe interior, cosy sunpads & Jacuzzi area and good water toy selection, to her outstanding service-orientated crew. 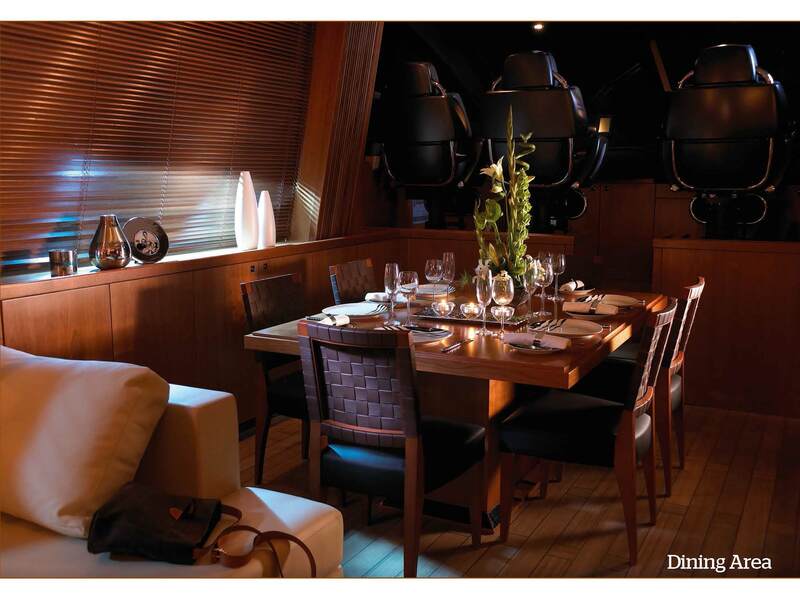 CASINO ROYALE’s sliding roof opens over the dining table in the saloon, which lets in lots of natural light. Modern, white couches with tan, silver, and gold throw cushions fit the saloon perfectly. Solid wood floors, black leather panelling, teak accents, white ceiling liner and floor to ceiling curtains over sliding glass doors create a feeling of quality. Silver decanters and bouquets of white carnations add grace and elegance. 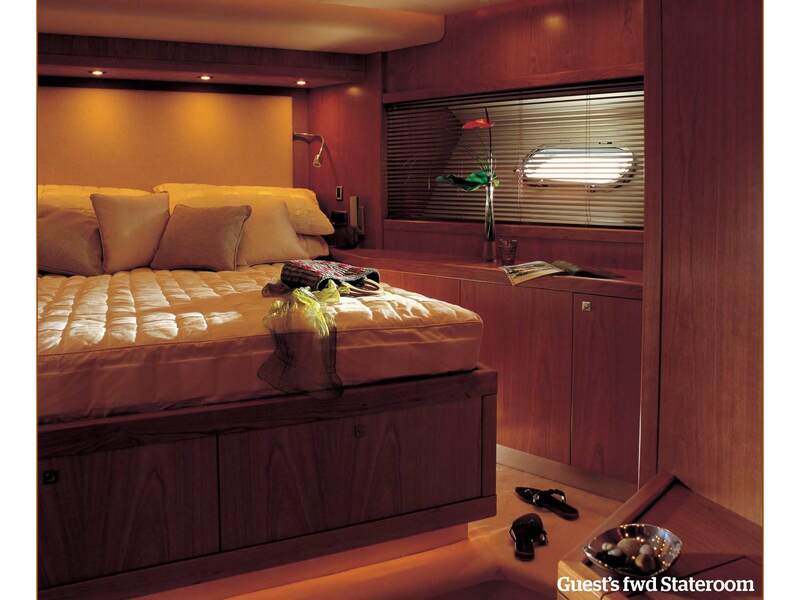 This yacht is lovely! The “Star Wars” bridge is forward. Aboard seven years, CASINO ROYALE’s Croatian captain Ivo has mastered every kind of wind, sea, and tide condition, logging over 100,000 nautical miles in the Mediterranean, while Chef Angie from South Africa is versatile in every type of cuisine, including any kind of Wellness cuisine. She is interested in Molecular gastronomy. Deckhand Goran and Stewardess Anamara round out this confidant, friendly team of four. 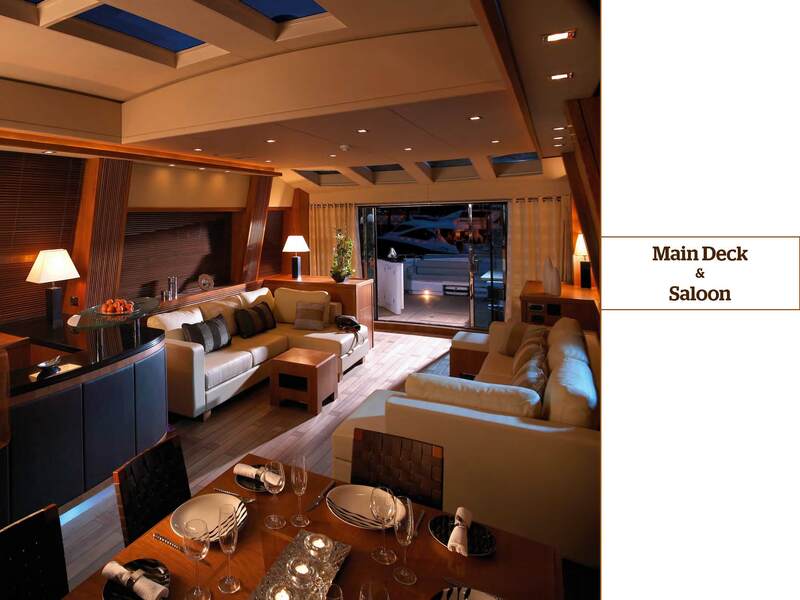 CASINO ROYALE’s aft deck offers sun beds, a bar, and teak dining table. 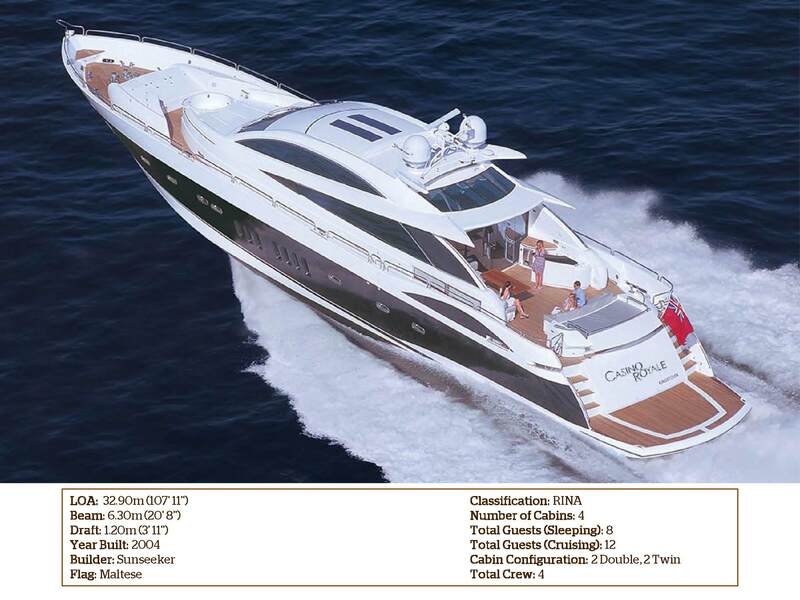 This Sedan-type motor yacht has no flybridge. Guests take in the sun on the bow, where there is a Jacuzzi with surround sun beds with room enough for seven people, as well as bench seating. 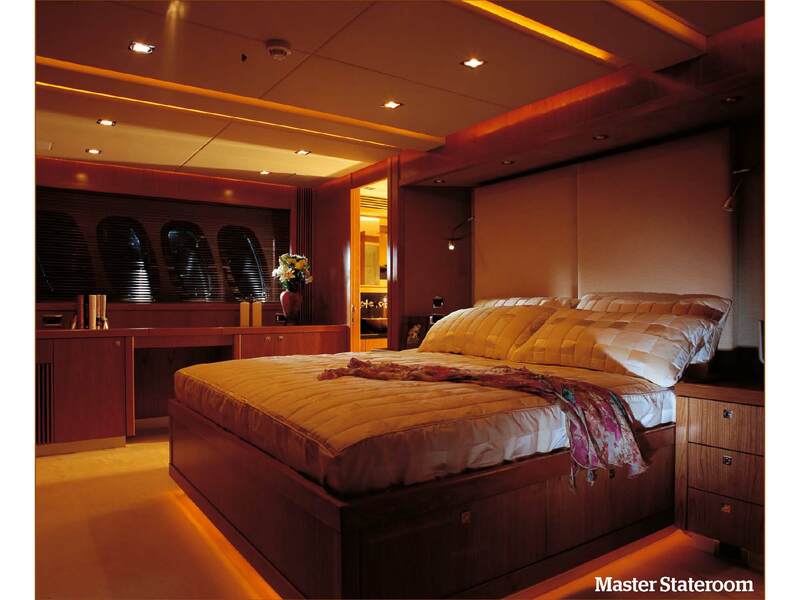 The yacht sleeps eight guests in four staterooms, all of which have access to a sitting room in the foyer just outside each cabin. 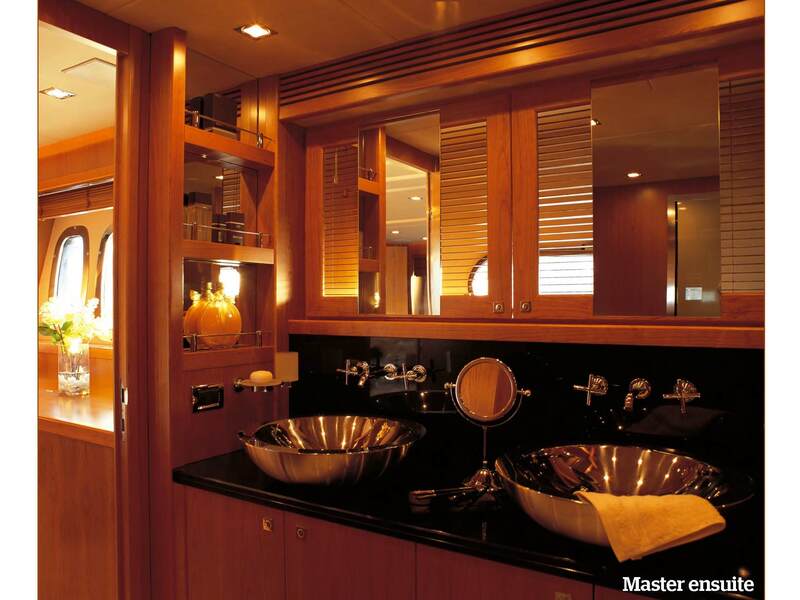 The Master Stateroom is the full beam of the ship with gorgeous master bathroom with shiny, stainless steel, bowl sinks. 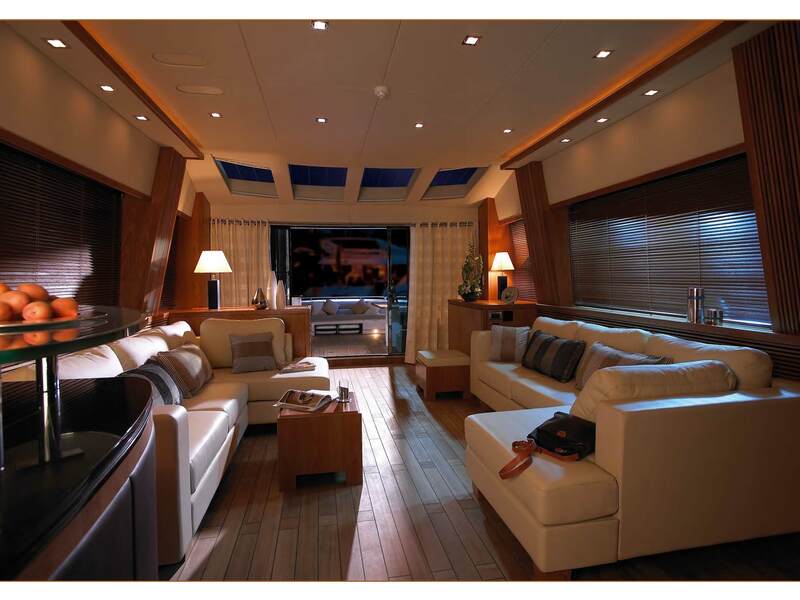 A Full Beam VIP Queen offers day and night mood lighting, as do the two additional Twin guest cabins. Anamara leaves chocolates and water in each stateroom after she does turn-down service. Built to thrill and to inspire, you can’t help but fall in love with this symbol of success.